Hawaii Island tourism numbers remained consistent through the month of May despite exaggerated national and international media coverage of the Kilauea volcano. According to numbers released by the Hawaii Tourism Authority (HTA), the Big Island saw visitor spending grow by $173.9 million in May, a year-over-year gain of 3.3 percent, despite a dip in visitor arrivals of 1.6 percent. The HTA attributes a portion of the decrease in arrivals to the loss of 6,600 cruise ship visitors as the Norwegian Cruise Line vessel, and the Pride of America (POA) skipped several port calls in Kona and Hilo throughout the month. Meanwhile, Alaska Airlines will commence new, nonstop service between Sacramento, California and Kailua Kona starting later this year. The new service, which is scheduled to begin December 20, will be the only nonstop flight offered between the two destinations with a flight frequency of three times a week. As the summer weather heats up here on Big Island, so does the South Kohala and North Kona real estate markets. South Kohala saw a 12 percent increase in residential units sold in June compared to the same month last year, while condominium and vacant land sales stayed flat. In addition, North Kona saw a 6 percent increase in residential units sold last month compared to the previous year. Mauna Kea Realty is proud to announce the debut of the Westin Hapuna Beach Resort. After a $46M transformation, the Westin Hapuna Beach Resort becomes one of the freshest hotels on the Kohala Coast combining Westin’s signature wellness programs with Hapuna’s genuine aloha spirit. The re-imagined Westin Hapuna Beach Resort features a new adults-exclusive pool, compelling new food and beverage venues and a wellness center complete with Westin WORKOUT Fitness Studio and Hapuna Spa. 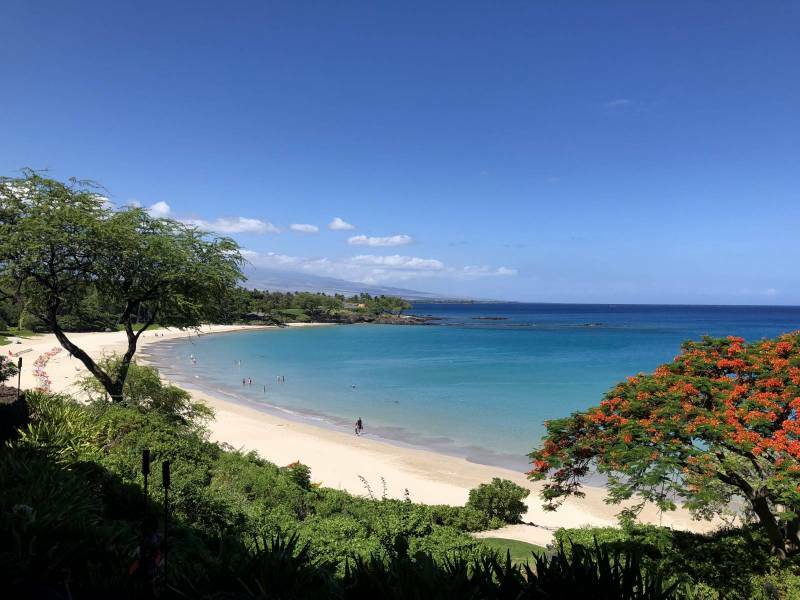 Please find below the Mauna Kea Resort June real estate market update highlighting recent sales and general community events. I hope you find this information interesting and helpful. June witnessed 3 closed transactions within Mauna Kea Resort. Mauna Kea Realty worked directly with the Seller and Buyer on the sale of The Villas at Mauna Kea #37. Villa #37 which sold for $2.5 Million, is an original two bedroom unit with beautiful ocean and Maui views. The price included architectural plans by Paul Bleck AIA, approved County permits and HOA approval to convert this unit to four bedrooms. (Click Here) to view the property information. Furthermore, 2 units within the Uplands community of Wai’ula’ula sold in the month of June. An approx. 2,500 square foot duplex Villa sold for $1,737,500 mid month. The unit consists of 3 bedrooms, 3.5 baths, and is equipped with a private plunge pool and Jacuzzi. The unit was built in 2006. (Click Here) to view the property details. For a Complete List of Properties Currently Available at the Mauna Kea Resort (Click Here).